Craving Breakfast Delivery, San Francisco? You may know San Francisco as a land of miracle pancakes and “secret breakfasts” of caramelized cornflake cookies. But the city works its magic on breakfast, too. When you need breakfast delivered, look to the delivery experts who go a step above and beyond. These restaurants cater the best breakfasts in San Francisco, perfectly packaged and delivered straight to your morning meeting, so that all you have to do is rise, shine, and land that client. These ten top caterers are ready to bring you all the creamy avocado toast, caramelized kouign-amann, and cheese-laden sandwiches you need to get going. Order up and have a happy day. 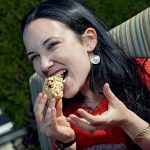 Eaters in San Francisco know that what you need first thing in the morning is a spread of eggs, pastries and bagels, fruit and yogurt, and a good apple-walnut coffee cake or cranberry-orange scones. The breakfast items at Le Boulanger make for the best kind of meal, and that’s why their customers keep going back. The philosophy of Le Boulanger (quality, variety, presentation, value) means you get a yummy start to a productive day. You won’t see the point of a humdrum breakfast once you try the artisan breakfast platter at Breaking Bread. It’s filled with bagels, muffins, scones, and croissants. The delicious breakfast spread includes delivery. One of the best breakfasts you’ll land on, in downtown San Francisco, is at Soma Eats. Their version of breakfast tastes sweet and spicy and arrives with extra-oaty oats. 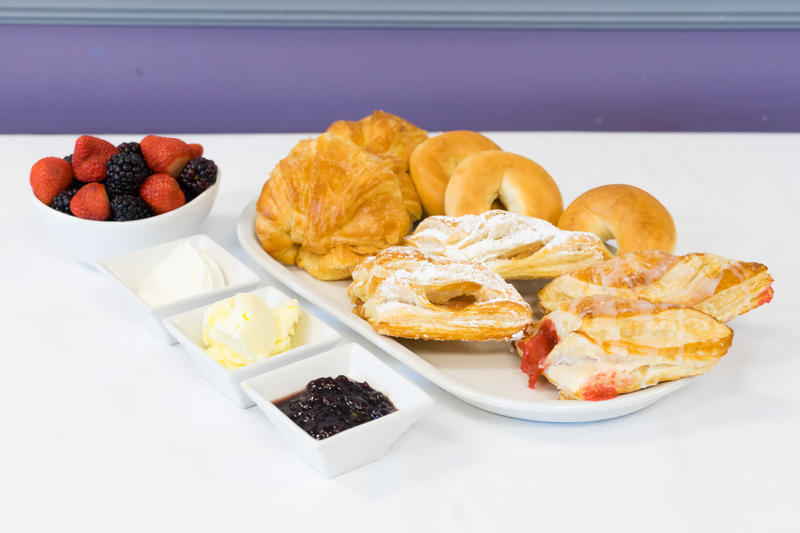 A customer favorite is the breakfast catering package, which you can order by headcount. It’s a feast of breakfast sandwiches, oatmeal, and greek yogurt parfaits. 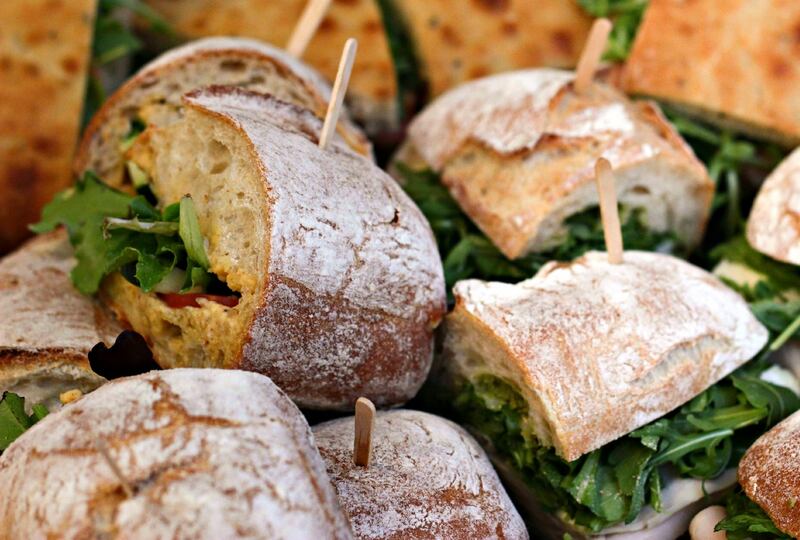 Please note: these are no ordinary sandwiches. One sandwich layers maple bacon, egg, cheese, and a spread of spiced garlic aioli on toasted ciabatta. 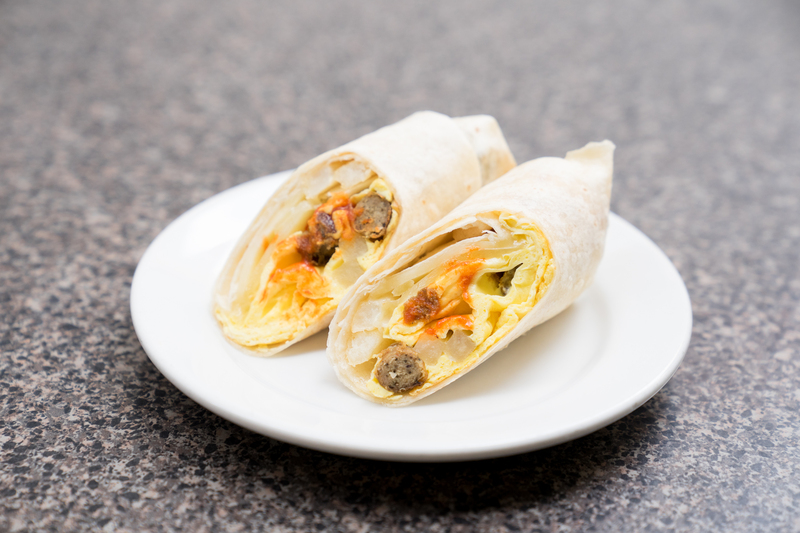 For the vegetarian breakfast burrito, a pressed tortilla is rolled up with a mound of scrambled eggs, spiced potatoes, American cheese, and peppadew peppers. Paris-born owner Julien Chang is serious about bread. So much so that he took his time scouring the land for the perfect baguette for the sandwiches at his local cafe. The same attention to detail goes into his breakfast dishes. His egg and cheese croissants are built to keep the scrambled eggs fluffy, and the pastry buttery-flakey. To guard his restaurant’s reputation as a place with the best delivery service in San Francisco, he has his team wrap up the breakfast burrito with the house-made pico de gallo on the side so that everything stays crisp and fresh. For a light, bright breakfast that won’t weigh your team down, think French. Sometimes you need superfoods, superfast. That’s when you call Ruru Kitchen for breakfast. Why? Because their delivery service moves as fast as city life in San Francisco. The cacao-chia pudding tastes like cocoa heaven and comes packed with refreshing tropical fruits and berries, and chia seeds, to keep you full. 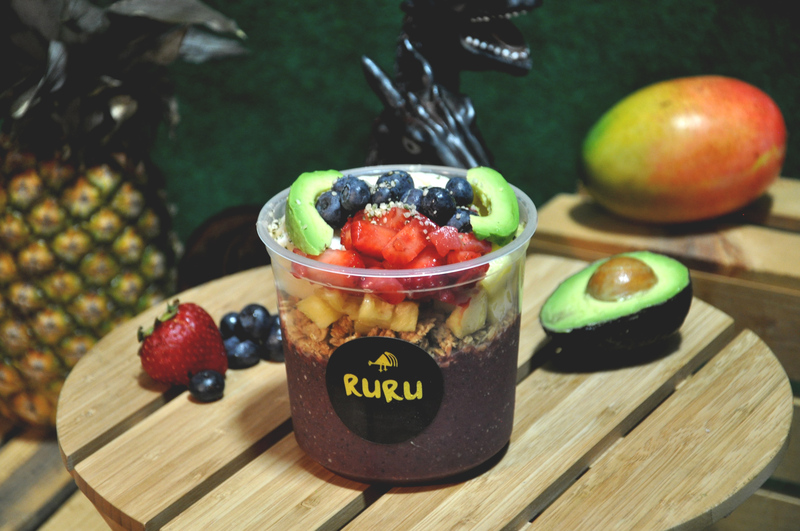 A blended açai or moringa bowl, topped with sweet almond granola and fresh fruit, combines the best of both worlds, delicious and nutritious. A full menu of assorted smoothies (and coffee, if you need it) gives you the support you need to succeed. You’ve got this. Missing Manhattan, San Francisco transplants? Because Manhattan loves you, Manhattan Hub does, too. That’s why they’ve got a menu of wraps stuffed with New Yorky (but not exclusively New Yorky) ingredients like pastrami and corned beef. These even come on a classic deli roll, reminiscent of the New York corner-bodega experience. Add a box of Illy coffee and drink it “light and sweet,” and you’re back in the city, indeed. Think you can’t have breakfast delivery in the form of a taco bar, San Francisco? Think outside the box, and think again. Americans are one of the few who insist on eggs, sweet pancakes, and pastries first thing. 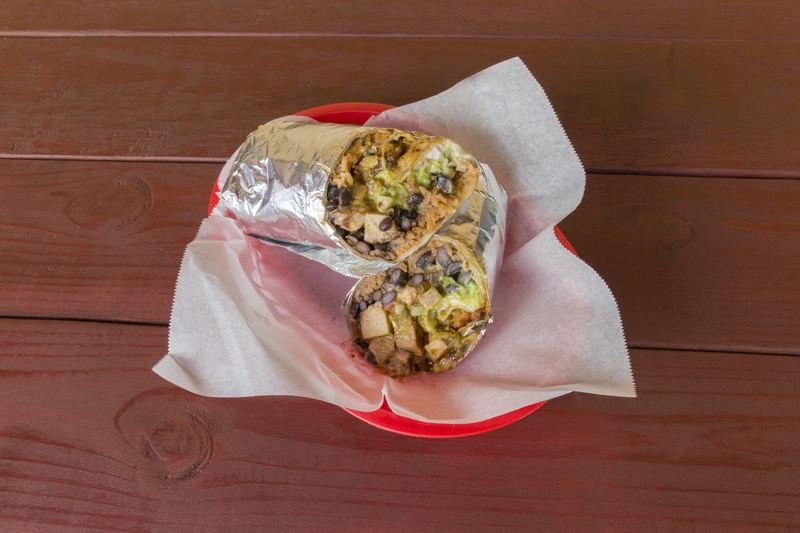 To shake things up, go for a deluxe taco bar of shredded chicken, steak, or al pastor. The tacos hit the spot and keep bodies energized to push through a long day. If you want to serve your office the best breakfast delivery in San Francisco, sometimes you need to go all out. Start with Mission Picnic’s must-order eggs, maple bacon, and crisp roasted Yukon gold potatoes. Then keep adding on. Both the vegan oatmeal bar and steel-cut oatmeal bar come with all the sweet and savory toppings you need for a hearty, healthy start. “You can’t go wrong with sushi burritos!” says one enthusiastic Amitis Cafe customer. Sometimes, the kind of breakfast delivery that San Francisco eaters are hankering for is the kind that crosses the territory of a Western breakfast. Amitis Cafe boasts of a long list of burrito and poke bowl offerings, pairing fresh fish with seaweed salad, pickled ginger, cold corn and edamame, and crunchy vegetables. Sometimes the best breakfast in San Francisco means its sushi burrito time. At L’acajou, you get breakfast delivery and an air of bohemia and San Francisco tech. 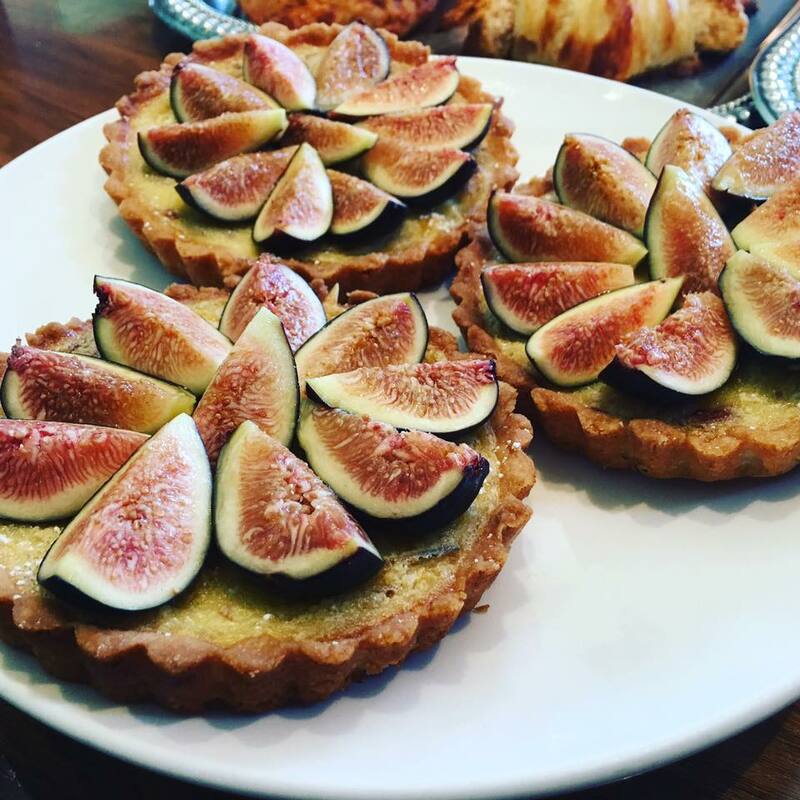 Their breakfast menu boasts quality pastry and yogurt staples. Think lemon-blueberry or cheddar-chipotle scones, croissants, and breakfast breads. 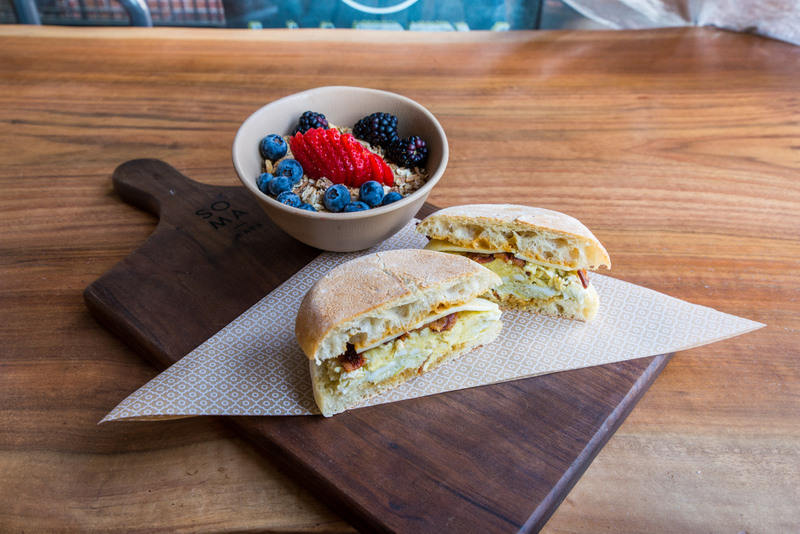 Try one of their stunning breakfast sandwiches. 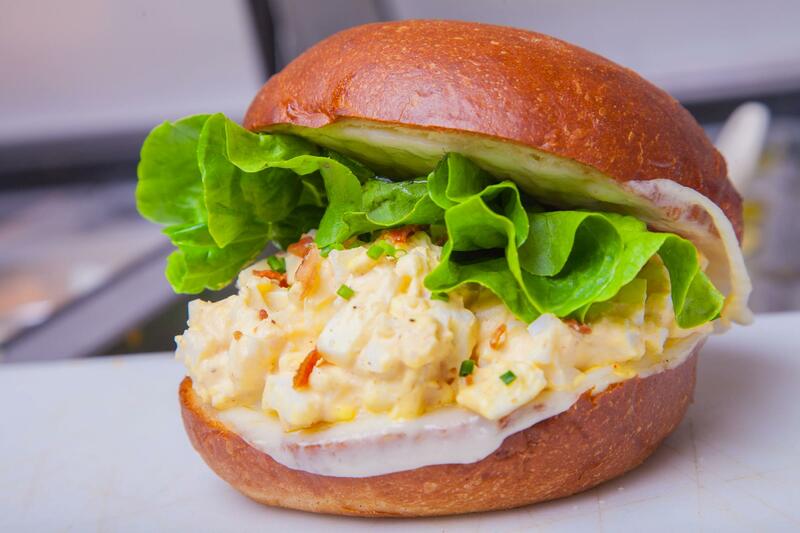 One comes layered with eggs, gruyère cheese, crunchy bacon, tomatoes, crispy cabbage slaw, and bright dijon on a roll flaked with herbs de Provence. Want a flavorful breakfast catered and delivered, fast?